Yoga does not go by beliefs; it goes by investigations and discoveries. I want to develop the scientific side of yoga with the help of openminded examiners and investigators because yoga science has much to contribute to the good of humanity. I am absolutely sure about it. It is science, scientists, and scientific thinking which will preside over the destiny of humankind, and this science will recognize the potential of yoga for humanity. Yoga Research Foundation (YRF) launches its publications with the reproduction of four original journals published in 1989-1990. 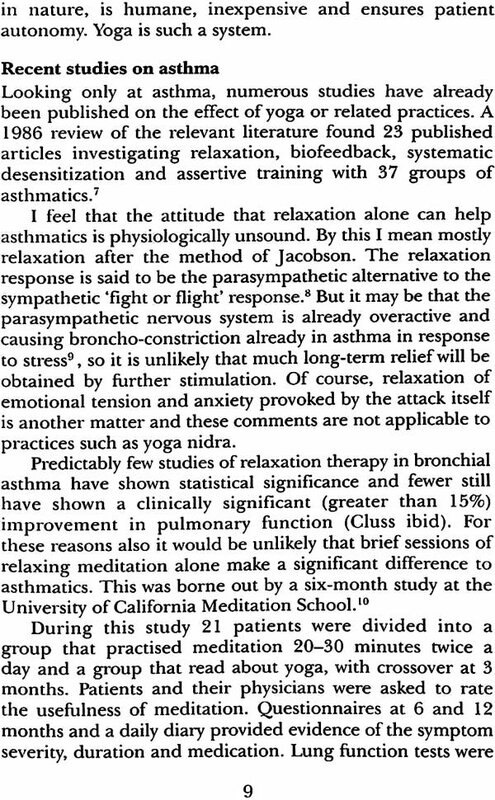 Mainly dedicated to the YRF five-year study on asthma, this volume reflects the interest and enthusiasm of medical doctors and yoga teachers in opening yoga to scientific investigation. Contributors from around the world have participated in this venture and shared their knowledge. 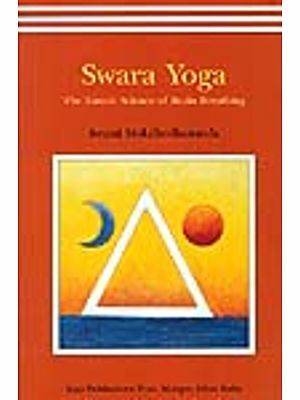 Yoga Research Foundation was founded by Swami Satyananda Saraswati in 1984, in Munger. 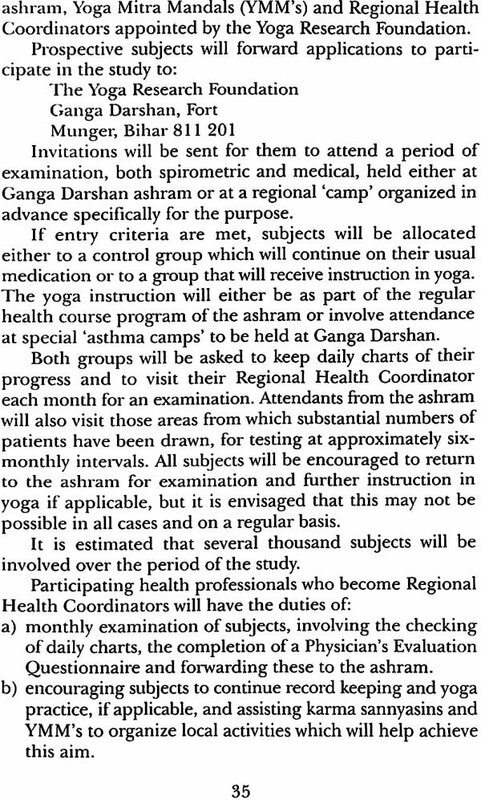 The aim of the institution was to investigate and validate the many aspects of yoga, its techniques, practices and postulates in a scientific manner. Already in 1977, Sri Swami Satyananda had established the Research Co-ordinating Centre with the same idea and purpose. One of his major contributions in the field of yoga was to introduce yoga to the world of medical and scientific research. Yoga was no longer to be a secret science for sadhus and ascetics, but accessible to one and all. The benefits of yoga are not only a reality experienced by the individual; they can be measured, monitored and analyzed with the most sophisticated scientific equipment available. Sri Swami Satyananda initiated a worldwide movement of yoga research which carried out projects at hospitals, psychiatric clinics, colleges and universities. People are coming to Munger from all over the world in order to learn yoga, not only Hindus but people from all religions and walks of life. Today, everyone from king to beggar is perplexed, restless, and wants to learn yoga to concentrate the mind, in order to find peace and free their body and mind from disease and tension. This is why our small ashram is transmitting the message of yoga to the whole world. Many of my sannyasin disciples are doctors, engineers, philosophers and psychologists. Being highly trained, they have a basic understanding of the scientific yogic research going on around the world. Through them whatever research is being done on yoga, East and West, will he brought here, collated and conveyed in a readable form to the people. Our aim is to convey information about the investigations going on in the world. How are alpha waves produced while singing kirtan? How does japa influence blood pressure? What is the effect of relaxation on the mind? What does science have to say about yoga? Over the last five hundred years we have forgotten our yogic culture and spiritual knowledge has nearly disappeared. Today, however, there is a great yogic renaissance going on around the world and spiritual knowledge is again manifesting. Finally, to all yoga lovers I express the wish that they may share their knowledge and experience with us in the form of assistance and cooperation, so that we can impart this knowledge to the maximum number of people through our new research coordinating centre. Yoga Research Foundation continues to this day to uphold the vision of Sri Swami Satyananda. Research is carried out at Ganga Darshan, in India, and by centers around the world. The effects of yoga practices are under investigation, as well as the impact of certain yogic practices and yogic lifestyle on physical and mental imbalance. The invitation which Sri Swami Satyananda extended to the scientific and yoga communities remains open, and all are welcome to share their knowledge, understanding and findings of their research into yoga. 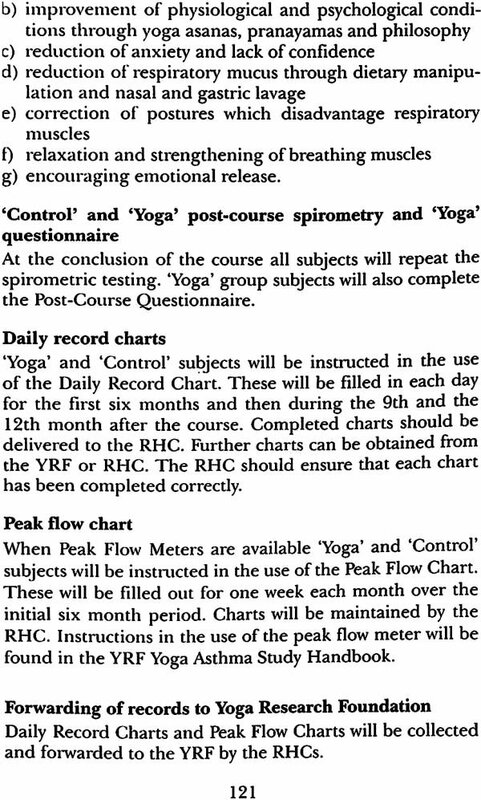 Volume 1 of the Yoga Research Foundation (YRF) publications contains the four journals published in 1989 and 1990. Five years after its foundation in 1984, these journals reflect the energy, enthusiasm and commitment of sannyasins, doctors, medical staff and associates who embraced the new challenge of bringing science and yoga together. With sincerity and careful attention to detail they embarked on this venture. 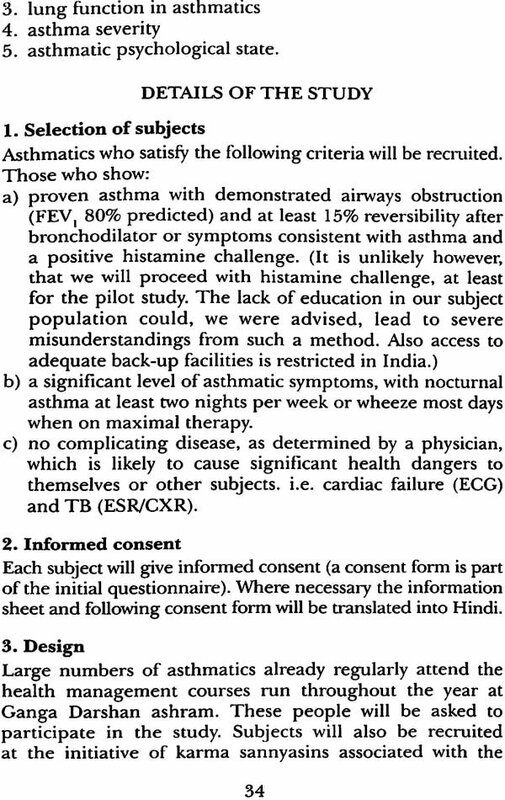 The first major project was a five-year study on the use of yoga in the treatment of asthma. Yearly doctors' symposiums were held, protocols established, questionnaires created and teams of assistants trained throughout India. It was an enormous undertaking preceded by a one-year pilot project. Simultaneously, an Australian study was carried out. Errors were corrected and procedures fine-tuned. Scrupulous honesty and a deep, uncompromising spirit of enquiry were at the base of this project. Other studies at that time dealt with the practice of yoga nidra and the enhancement of attention through yoga. A comparison of the effects of smoking, running and yoga practices on total cholesterol were also under investigation. 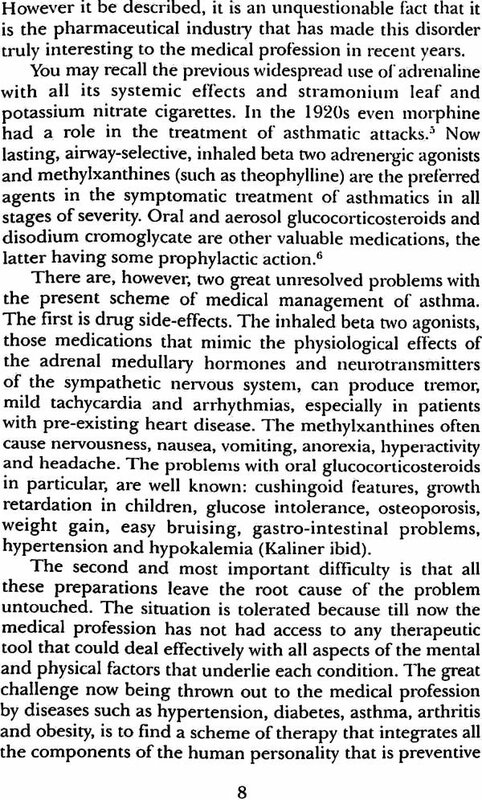 In his editorial in the second issue of the YRF Journal, Sri Swami Satyananda describes his experiences in the treatment of peptic ulcer, heart disease, diabetes, prolapse of the uterus, cancer and rheumatoid arthritis. This personal account makes yoga research accessible to readers with little or no medical background. 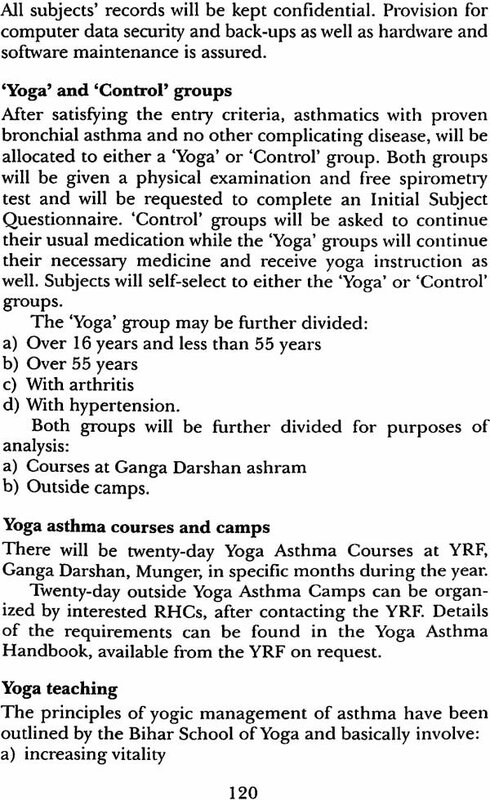 Regular features in the journals are News and Correspondence which allows readers to share their personal experience of yoga in the management of their ailment or illness. Every Journal reiterates the wish for people to come forward and join the Yoga Research Foundation in its work and mission. The initial invitation of Sri Swami Satyananda to become part of the yoga research movement remains as open and sincere. For centuries, we have been led to believe that yoga is a path of renunciation, that yoga was meant for people who had renounced life, but now the picture has entirely changed. In order to correct this view I had to travel all over the world, meeting with doctors and scientists. Today they know that yoga holds the master-key for mankind's evolution, for helping him to move out of his present state of limitations and misery.